So im setting up another board. Fanatic Hawk 120. Footstraps have two lines of three holes in the bottom webbing. Using two pin anti twist plates. Previous owner had the curved side inwards making strap tight on sides of my feet. So ive switched em to flat side inwards. Should give me better width for same screw spacing? (Both in outboard front holes in board for rear straps) Also wondering whats the go with the two rows of 3 holes in webbing. Which row should i be using?? The double rows are to adjust the range of the foot strap. Even with the adjustable foot straps there are some who have either really large feet & wear boots or very small feet who go barefoot - then there is personal preference: many slalom guys like them tighter to lever the board while freestylers like them very loose & everything in between. So, the range of adjustment needed is potentially huge & difficult to cover with a 1 size fits all adjustment range. The 2 rows allows more options. So ive tried both sets of 3 holes in webbing. Outer set bunches the strap up at deck level if i have screws in both front holes for rear strap. 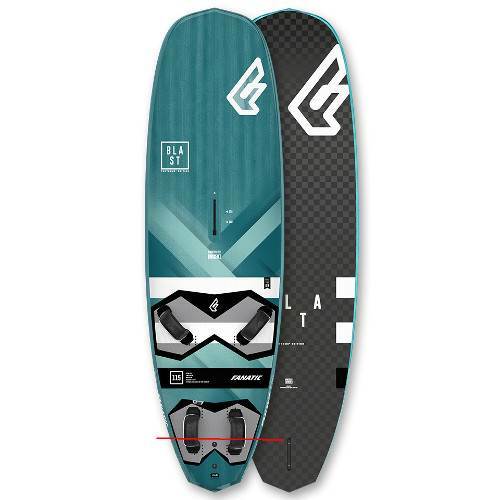 The board is 2012 Fanatic Hawk 120. Rear strap positions seem very far back, mostly well above the fin. If its in both front hole positions its only just level with front of fin. From what ive read rear screw should be level with front of fin. With screws in both front position, strap could be a bit wider for my foot. Any issue with moving rear screw back one hole? Cant go any further forward with front position.Rear screw will then be behind front of fin. There is a reason they put the Strap positions there on that board. My experience with newer boards is that the leading edge of the fin is close to under your foot(see below). So, Unless you are using sails way out side the range for the board or you have really short legs or some other anatomical anomaly, I would start with the straps in the middle of the range & use the twist plates to adjust the strap width for your feet. Then sail it & adjust from there. If this board is newer than you are used to, there is a good chance the straps are set with a wider stance & further back than older boards. Yep hole positions very similar to the Blast. Previous owner had them in rearmost holes narrow strap opening n close stance. Im guessing but theyd be a much smaller lighter person than my 105kg. Yet to sail it. Cool! Well, I would give it a go in the middle positions & see how it goes!